Bagdogra Airport / Njp Railway Station To Darjeeling Assistance On Arrival At Bagdogra Airport / Njp Railway Station And Transfer To Darjeeling,The Queen Of The Hills. Check-In To Your Hotel On Arrival. Rest Of The Day Free Or Can Be Spent At The Mall (Chowrastha). Overnight In Darjeeling. 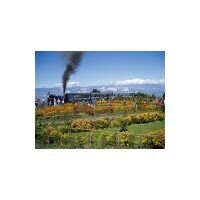 Darjeeling - Sightseeing Early Morning (At 04:00 Am) Visit To Tiger Hill To Watch The Spectacular Sunrise Over Mt. Khangchendzonga (28,208 Ft. Worlds Third Highest Peak), On Your Way Back We See Ghoom Monastery And Batasia Loop. 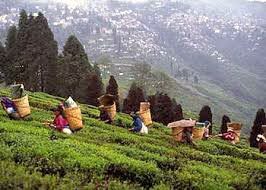 After Breakfast Embark On A Sightseeing Tour Of Darjeeling Covering - Himalayan Mountaineering Institute, Padmaja Naidu Himalayan Zoological Park (Closed On Thursday), Tenzing Rock, Tibetan Refugee Selfhelp Centre (Closed On Sunday), Tea Garden (Outer View), And Japanese Peace Pagoda. Evening Free Or Can Be Spent At The Mall (Chowrastha). Overnight In Darjeeling. Darjeeling - Kalimpong Post Breakfast Take The Transfer To Kalimpong. Check-In To Your Hotel On Arrival. Post Lunch Embark On A Sightseeing Tour Of Kalimpong Covering - Mangal Dham, Deolo Hill, Dr. Grahams Home, Durbin Dara Monastery & View Point, Cactus / Orchid Nursery. Rest Of The Day Free Or At Own. Overnight In Kalimpong. Kalimpong - Gangtok After Breakfast Take The Transfer To Gangtok. The Capital Of Sikkim. Check-In To Your Hotel On Arrival. 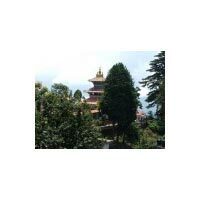 After Lunch Embark On A Half Day Local Sightseeing Tour Of Gangtok Covering Rumtek Monastery, Dro-Dul Chorten, Institute Of Tibetology, Handicraft Centre, And Flower Show. Evening Free Or At Own. Overnight In Gangtok. Gangtok - Sightseeing Post Breakfast Embark On An Excursion Trip To Tsomgo Lake (12,400 Ft.) & Baba Harbhajan Singh Memorial (13200 Ft). Overnight In Gangtok. Gangtok - Bagdogra Airport / Njp Railway Station Post Breakfast Take The Departure Transfer To Bagdogra Airport / Njp Railway Station For Your Onward Journey. 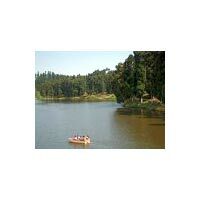 Kolkata - Darjeeling - Gangasagar Excursio..